I was taken aback when I saw this sign. 2020, how could that be? 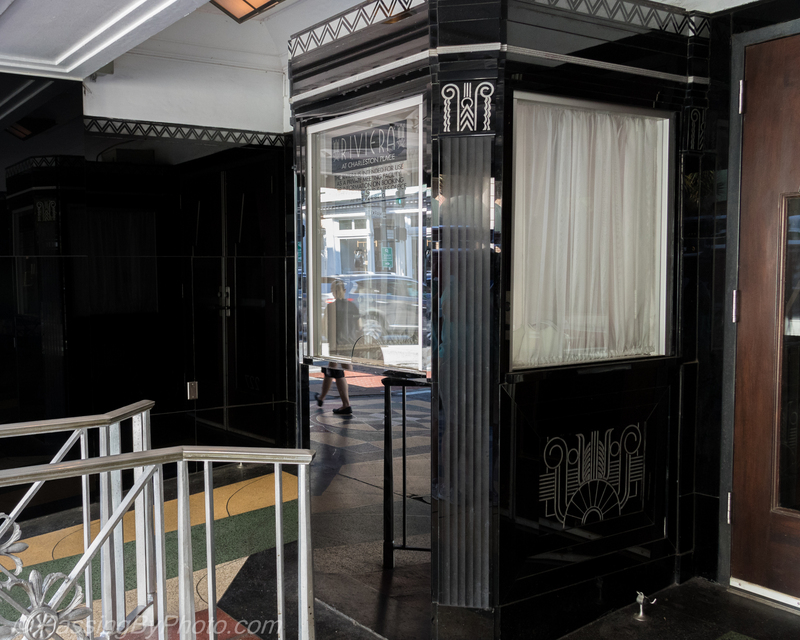 That the sign itself looks like a 1920s Art Deco leftover adds to my nostalgic feeling of time passing by. 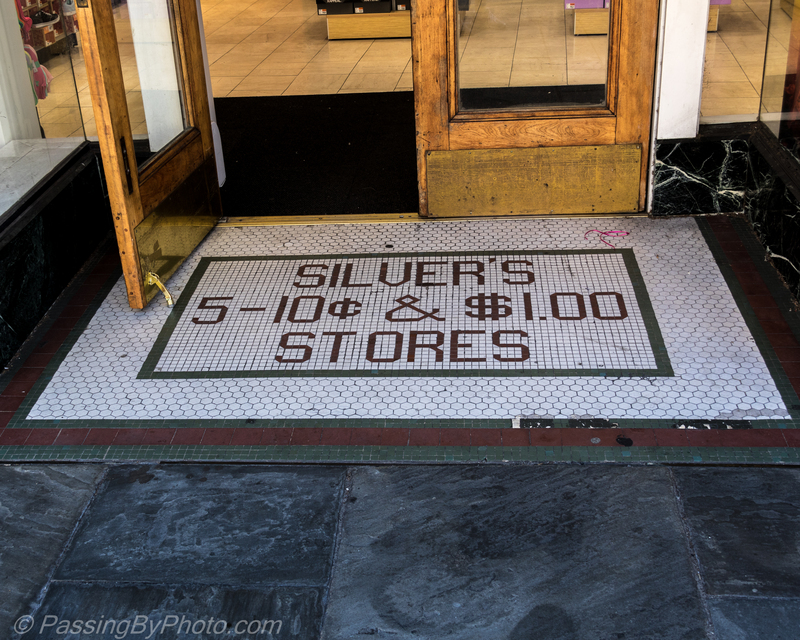 This is compounded by the Riviera box office and the preserved entrance to Silver’s Five and Dime on the same block of King Street. This class of students will see changes in all facets of their lives over the next four years. 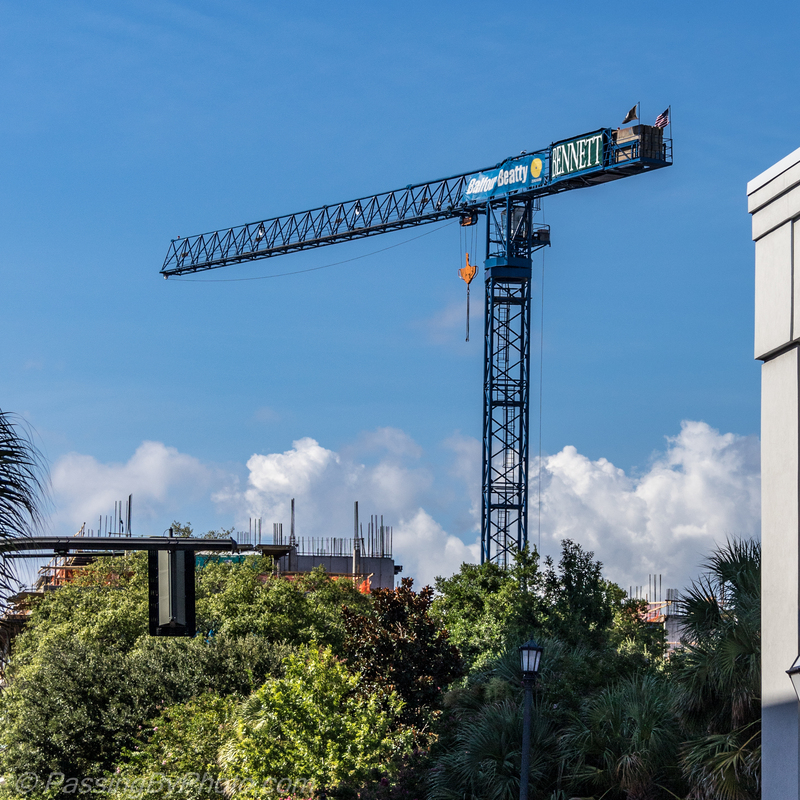 Locally, one aspect of this is pointed out by the construction cranes that dot the Charleston peninsula, like this one just a block away from the Welcome sign. Four years will fly by; we should check back in May of 2020 and tally what we all hope will be a net gain towards progress. 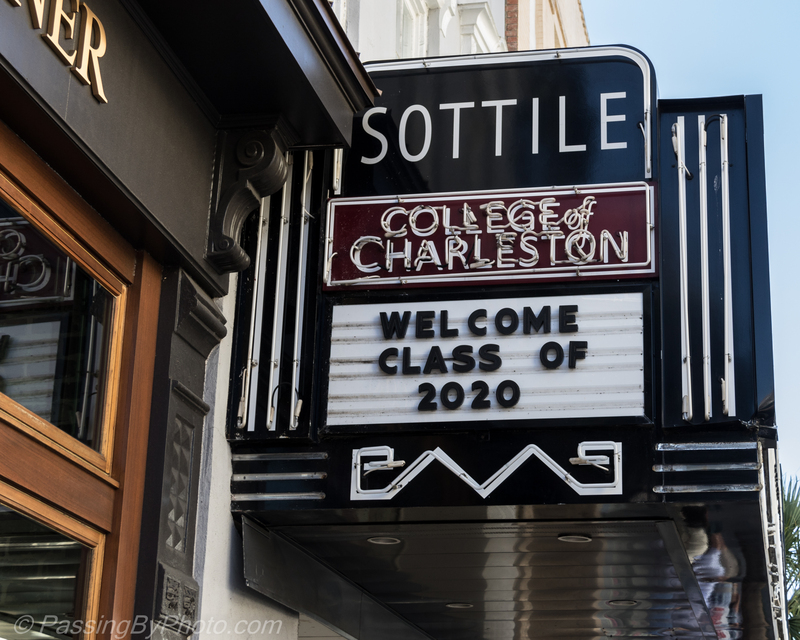 In the mean-time, the C of C’s Sottile Theater is ready to get this year started.